Hi. We’re back with another “Me Moment.” Today we’d like to talk to you about Safco’s Impromptu screens. In need of a new space? Then configure one with the Impromptu collaboration screens. Built to be mobile, these screens are easily going places with their modern casters. Easily create a space for an informal meeting. Use one of the screens and once the meeting is adjourned, effortlessly move two screens together and design a private meeting space or a quiet work area. Impromptu screens come in your choice of a full translucent panel or a full white board panel. The translucent panel creates an eye-pleasing visual divider while the full white board allows you to take notes or brainstorm the next big idea. Or if you’re like us, decide what’s for lunch. Both screens come with an accessory hook to hang an easel pad and the full white board screen includes an accessory tray for dry erase markers and an eraser. This has been a “Me Moment.” Please join us again to find out how Safco can help you work hard and play harder. See how Safco’s Impromptu collaboration screens combine the versatility of a white board with the privacy of a room divider. 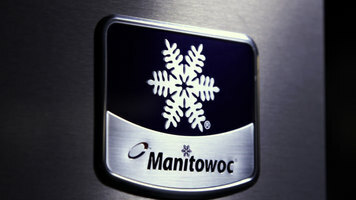 Enhance the quality of your beverages with the Manitowoc air cooled ice machine. With a yield range of 310 pounds to over 2300 pounds, this ice machine is sure to keep up with drink orders in your establishment. Check out this brief video to learn more! 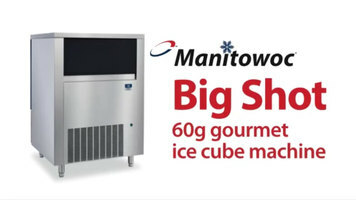 Enhance your customers' drink experience with Manitowoc's Big Shot 60g gourmet ice cube machine. Boasting a high output and a unique cube shape, this machine is sure to deliver one-of-a-kind service. 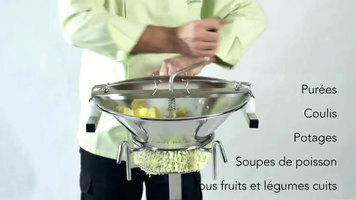 Watch this short video to learn about Tellier food mills and how you can benefit from purchasing one!